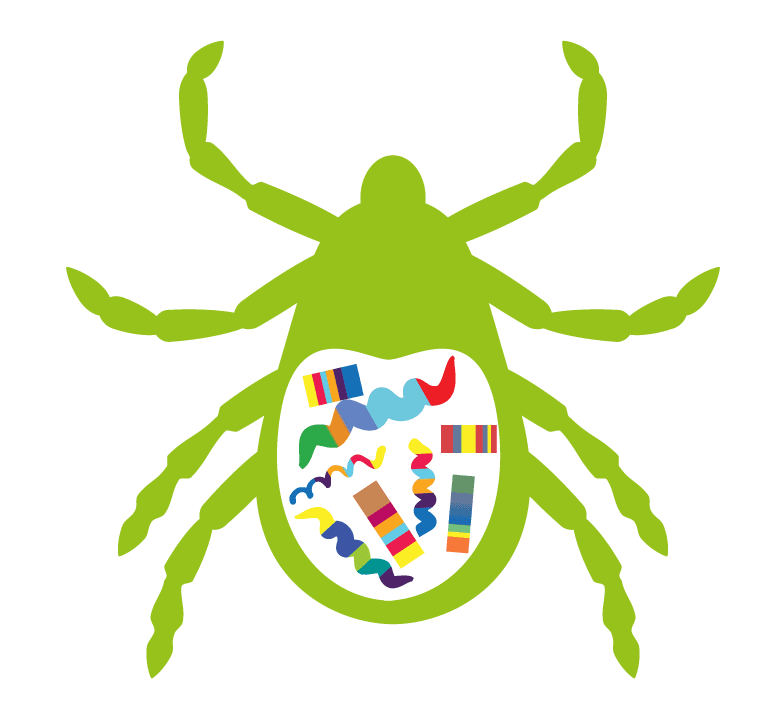 One of our goals at VTLyme.com is to ensure Vermonters have accurate information about Lyme and tick-borne diseases specific to Vermont. 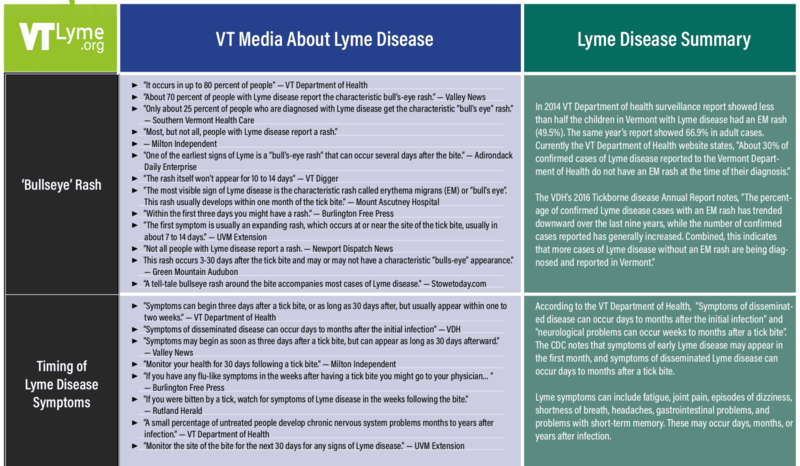 This review of local media reports, newspapers, and newsletters shows that even among medical and science professionals there is confusion about the diagnosis and treatment of Lyme disease in Vermont. 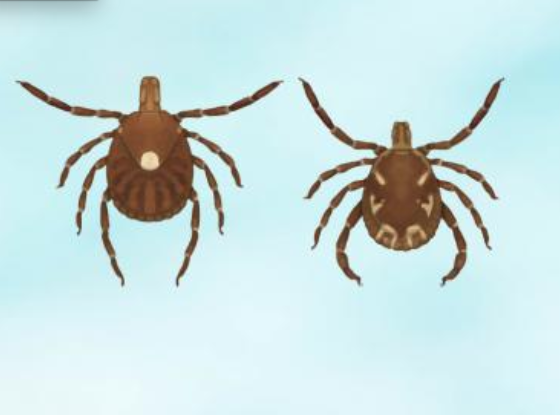 In addition, only two articles mentioned the presence of other tick-borne diseases in Vermont, such as Anaplasmosis. 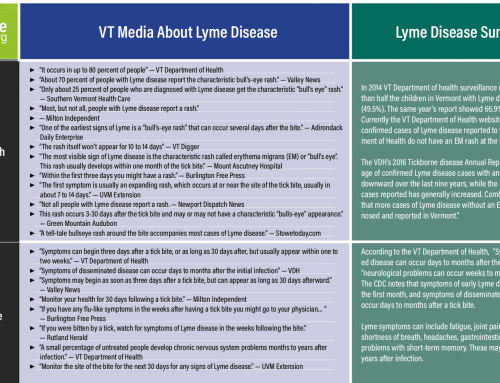 Vermonters have a right to accurate and unbiased information about Lyme and tick-borne diseases so they can make informed decisions about their health care. 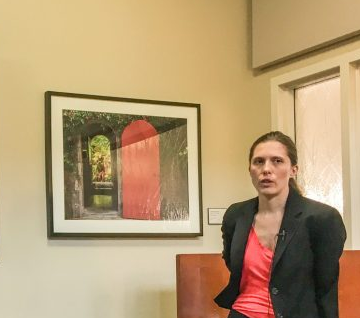 Medical professionals in Vermont should be aware of the varied presentations of Lyme disease, and the limitations of blood tests, so Vermont patients can have access to effective diagnosis and treatment. 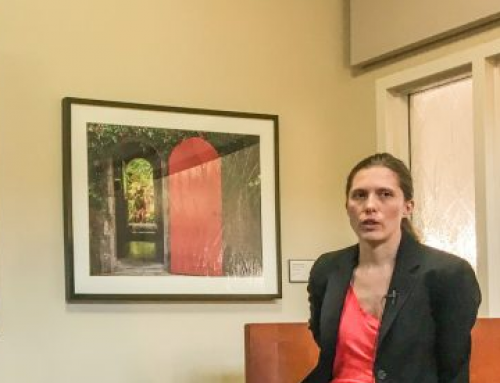 Institutions, such as the Vermont Department of Health, should be working to ensure that accurate and thorough information about Lyme disease in Vermont is available to journalists, health professionals, and all Vermonters. The Vermont Department of Health 2014 Lyme disease surveillance report showed less than half of the children in Vermont with Lyme disease had an EM rash (49.5%). 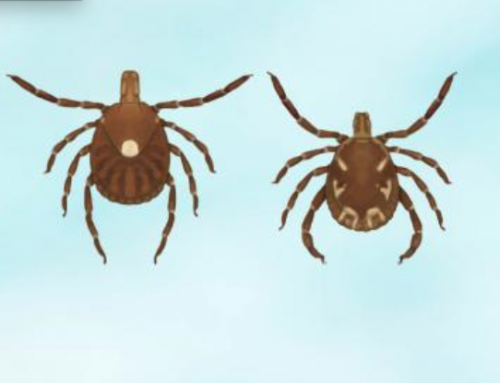 The same report showed an EM rash was present in 66.9% of confirmed adult cases of Lyme disease. 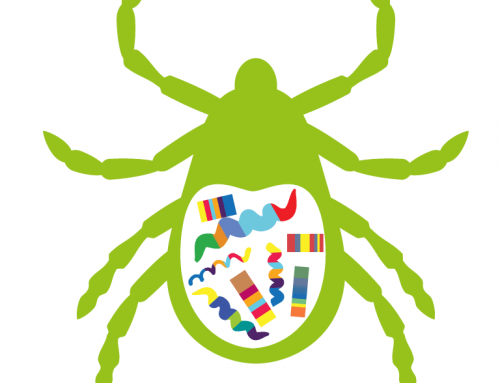 Approximately 10-20% of people treated for Lyme disease have continuing symptoms a year after treatment. Some individuals have been disabled by Lyme. The earlier a person is diagnosed with Lyme disease, the more likely standard treatment will work. Most people recover fully from Lyme disease when it is promptly diagnosed and appropriately treated. 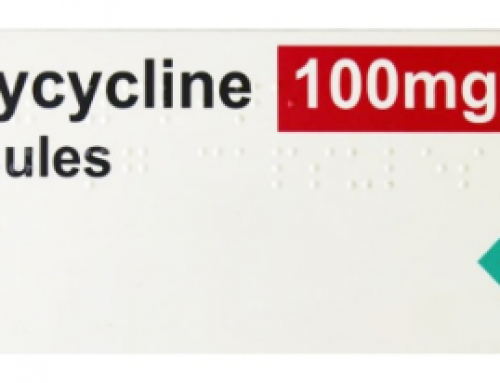 According to the CDC Lyme disease is “diagnosed based on symptoms, physical findings and the possibility of exposure to infected ticks.” A negative blood test does not mean you do not have Lyme disease. False negatives and false positives do occur.